In hand embroidery, the satin stitch is used to fill in spaces with color. It's a great way to fill in flower petals or add color to a basket. The satin stitch is an easy hand embroidery stitch, and I also share a way to do a faux satin stitch in the video in case you want to try a satin stitch technique that saves embroidery floss. 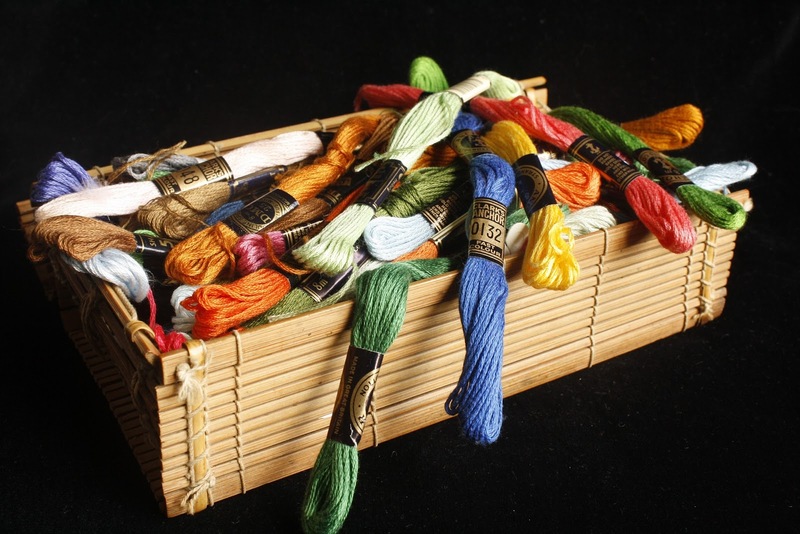 To start the satin stitch, prepare your fabric, ideally by stretching it flat in an embroidery hoop. Also, prepare the needle by threading it with embroidery floss and knotting the end. Poke the tip of the needle through the fabric at your desired starting point, then pull the embroidery floss all the way through. Move the needle tip all the way across the space you're filling, up to an inch or two in width, then poke the needle down through the fabric. Bring the yip up the needle back up through the fabric right beside the first stitch, then back down through the fabric at the other end, making the embroidery thread lines run parallel to one another. Repeat the first steps over and over until you've filled the space you are embellishing with embroidery floss. The true satin stitch uses quite a bit of embroidery thread, and I've come up with my own faux satin stitch that I use sometimes when I run low on embroidery floss. I shared my faux satin stitch technique in the video below after the step-by-step example of the classic satin stitch. Hand embroidery can be used to add charming touches to home decor, garments, monogramming any textile item, and even the things you make for your pets. 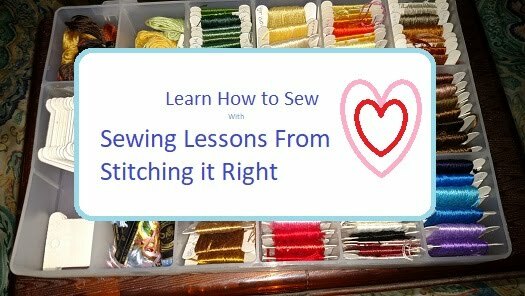 Thanks for visiting Stitching it Right, comments are always welcome, join us on Facebook, or head over to the Sewing Lessons From Stitching it Right YouTube channel to check out our free video sewing tutorials.